“Too Much Gas: Setting the Stage for a Petrochemical Construction Boom” is an actual sub-heading within FWW’s report. And aside for one brief section on pipelines being at risk for leaks and explosions, the FWW report goes on about the positives of these industries for 6 1/2 pages – the whole report is only 9.5 pages, not counting endnotes – with phrasing like “polluting partners” thrown in occasionally to keep readers aware they should be reading these benefits as negatives before FWW ever gets into why in its mind any of this is a bad thing. We’re not really sure what was up with that either, but … thank you? “Pipelines enable the safe movement of extraordinary quantities of energy products to industry and consumers, literally fueling our economy and way of life. The arteries of the Nation’s energy infrastructure, as well as one of the safest and least costly ways to transport energy products, our oil and gas pipelines provide the resources needed for national defense, heat and cool our homes, generate power for business and fuel an unparalleled transportation system. “The nation’s more than 2.6 million miles of pipelines safely deliver trillions of cubic feet of natural gasand hundreds of billions of ton/miles of liquid petroleum products each year. They are essential: the volumes of energy products they move are well beyond the capacity of other forms of transportation. It would take a constant line of tanker trucks, about 750 per day, loading up and moving out every two minutes, 24 hours a day, seven days a week, to move the volume of even a modest pipeline. The railroad-equivalent of this single pipeline would be a train of 75 2,000-barrel tank rail cars everyday. In true FWW fashion – albeit seven pages in – the group does eventually detail what it means by polluting partnership, claiming that shale development and these petrochemical and plastic facilities will cause a new cancer alley in Appalachia, have negative consequences for marginalized populations, and be harmful to workers. The bottom line is this – for all of the reasons and more that Food & Water Watch highlighted, shale development has been a boon for this region. And the investment that it is spurring in manufacturing and other industries will ensure that these benefits last for generations. 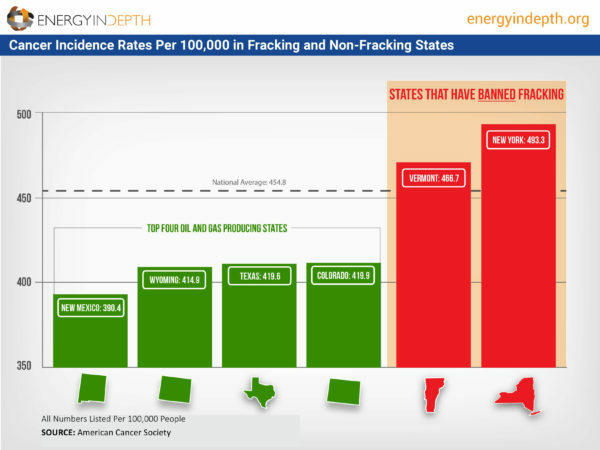 It’s a historic thing that’s happening here, and as this report proves, even one of the staunchest opponents of fracking had a difficult time ignoring the incredible benefits already seen and forecasted to occur in the Appalachian Basin.